Through the formation of this Group, HDBaseT Automotive technology is positioned to become the first industry standard with built-in cybersecurity for in-vehicle connectivity. The industry requires a safer, better-equipped in-vehicle connectivity solution, and more consumers are demanding protection from vehicle data-hacking. Vehicles of tomorrow will contain multiple electronic controls and codes that leave them susceptible to cyber threats. The HDBaseT Alliance recognizes the vulnerabilities and is on a path to meet and exceed industry requirements by bringing together significant cybersecurity and automotive players. Creating a platform for these cybersecurity and automotive connectivity companies is key to creating a valuable solution for the automotive market. The Working Group will work to address cybersecurity requirements. As initial members of the Working Group, Check Point, Argus and Valens will play critical roles in developing secure solutions for the ever-changing automotive landscape. HDBaseT Automotive enables high-speed tunneling of audio, video, data, USB and more, with native networking capabilities over a single unshielded twisted-pair (UTP) cable for up to 15m (50ft). Cybersecurity is an increasingly vital sector of the automotive industry, and the HDBaseT Alliance is a trailblazer in discovering the safest, most reliable defense against automotive cyber threats. 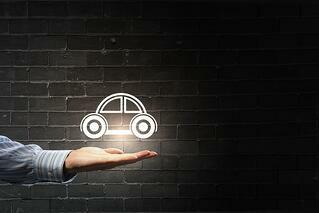 How do you think cybersecurity will play a key role in the future of the automotive industry?